[PDF] Battlefield is a series of first-person shooter video games that started out on Microsoft Windows and OS X with its debut video game. The series is developed by Swedish company EA Digital Illusions CE and is published by American company Electronic Arts. Running Battlefield requires a strict DirectX environment in your system. If there were DirectX errors, you will see a “DirectX error” message pop up on your screen and it will stop you from running Battlefield normally. You will have to fix the DirectX error before you can play Battlefield. 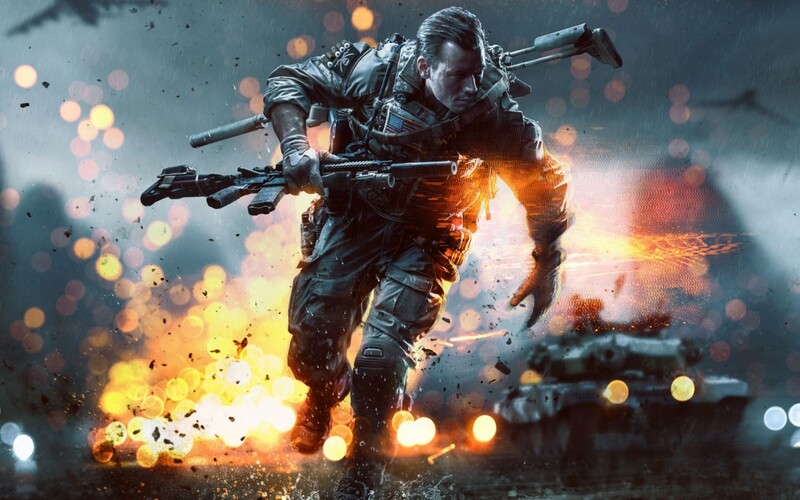 In this article, you will learn how to fix the DirectX error while playing Battlefield in several steps easily. First of all, you should get everything prepared for DirectX repair. You should find the setup CD of your system and insert it to the CD-ROM of your computer. If you don’t have that or you have lost your system setup CD, please contact us and we will make a package for you. Also you should install Reinstall DirectX EZ to your computer. You can download the latest trial version at its official downloading page for free. If you have a registration code, you can enter it into the program to use a full version. 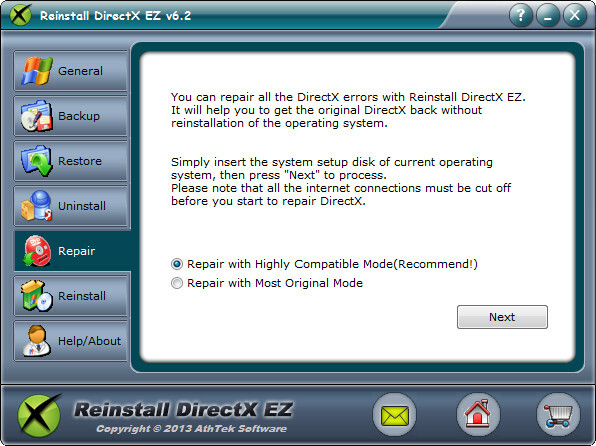 After you have got everything prepared, click to access the Repair tab on Reinstall DirectX EZ. There are 2 options to repair DirectX immediately. I will recommend you to choose the Compatible Mode one. When you are ready, press Next to choose the [sources] folder in your system setup CD. Reinstall DirectX EZ will diagnose your current DirectX program to the original one in your system setup CD. If there were any DirectX error, Reinstall DirectX EZ will fix it immediately. DirectX repair will cost about several minutes. The only thing you need to do is to wait for the repair process over. Please note that you should cut off the internet connecting during DirectX repair. When DirectX repair is over, you can run Battlefield for a try. 90% DirectX errors will be fixed after DirectX repair. If you are so lucky that the DirectX error message still can pop up on your screen, you should reinstall the latest version of DirectX to your system. Open Reinstall DirectX EZ and click to access General tab. Click on link ‘Get New Updates’ to open the official DirectX downloading page of Microsoft and download the latest version to your computer. After you have downloaded the file, please cut off the internet connection and restart Reinstall DirectX EZ. Click to access Reinstall tab of Reinstall DirectX EZ and then press Next to find the DXSETUP.exe you have just downloaded. Follow the instruction to install the latest version of DirectX to your system, and then 100% DirectX errors will be solved completely! Actually, not only DirectX errors while playing Battlefield can be fixed, but also DirectX errors in other video games can be fixed easily by Reinstall DirectX EZ. If you are facing DirectX problem when playing video games on Windows, you can solve DirectX problems effortlessly with Reinstall DirectX EZ!